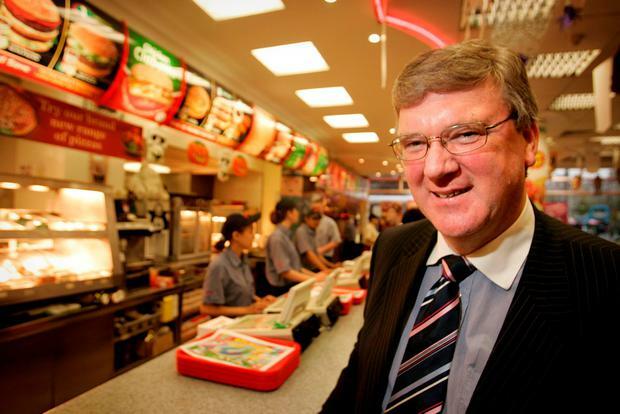 Top hotelier and Supermac's founder Pat McDonagh is spending €600 a week on bottled water for his four-star Loughrea Hotel and Spa as the west continues to grapple with water contamination. Several Loughrea residents have been diagnosed with Cryptosporidiosis in recent weeks. Cryptosporidium is a microscopic parasite that causes the diarrhoeal disease Cryptosporidiosis, or Crypto. In some cases it can be deadly, especially for the elderly or those whose health has already been compromised. "We've got to buy in bottled water for all the bedrooms and for cooking in the restaurant and we have to buy ice. We have notices up in all the rooms so every guest is fully informed that they must use the bottled water for brushing their teeth," he said. Although Mr McDonagh says the ongoing situation hasn't affected summer tourism, the extra cost is mounting. "It was an inconvenience at first but now it's a big cost. We're paying €30,000 a year in water rates, that's on top of rates in excess of €100,000 and we're getting nothing back for it," he said. What's even more frustrating for Mr McDonagh and the 6,000 others on boil-water notices in Loughrea is the uncertainty over when the directive will be lifted. Meanwhile, 3,350 users are affected in the Carraroe area of Connemara, as are 250 people in Kilconnell and 200 in the rural village of Leenane. The Kilconnell boil-water notice was issued in November last year. Irish Water says the upgrade may not be fully completed until the end of November. "It's worrying when no one is taking responsibility or accountability for what exactly is wrong and when it is going to be rectified. The last we heard is that it might be sometime in October," Mr McDonagh said. By that stage, Mr McDonagh - who also owns numerous food and customer service ventures around the country including Papa John's Pizza and the Charleville Park Hotel, Cork - will have spent an estimated €20,000 on bottled water and ice for his hotel. "We're in the process of looking at sinking our own well so that this doesn't affect us going into the future," he said. "We're being hopped from Billy to Jack, they are passing the buck and at end of the day Irish Water are the new body in charge so ultimately the buck stops with them," he said. Although local Fianna Fail councillor Shane Donnellan welcomes investment in improving water quality in the west, the ongoing process is taking much longer than people expected. "Initially, when we found out on February 1 that the boil notices were going to be put in place, we thought it might be for six weeks to two months but fairly quickly after that we found out that it wasn't going to be that simple," he said. "My main concern is that communication from Irish Water isn't being clear enough. They are flushing out the system and unfortunately we don't know how long that is going to take," he said. Hundreds of thousands of households are now at risk from dangerous drinking water, including the potentially deadly bug Cryptosporidium. The Environmental Protection Agency had previously earmarked 119 at-risk water schemes, providing water to 803,000 Irish Water customers around the country. This survey provided the basis for Irish Water's action plan, investing millions in improving the cleanliness of tap water. But now, following a new risk assessment by the utility, Irish Water has admitted the situation is far worse. They have now classified at least 472 drinking water schemes as being at-risk with a range of severity, the most serious category having "inadequate barrier to microbiological contamination under a range of raw water conditions". Smaller plants serving largely rural schemes are the worst offenders. A spokesperson for Irish Water said: "Irish Water has now completed its risk-based assessment of all public water supplies that shows that the real picture is more serious, based on a full national picture. The reality is that the number of customers dealing with boil-water notices is more than likely to increase in the short term because the national utility is carrying out systematic analysis, sampling and reporting at a level that was never done before". At least 35,000 Irish Water customers have been on boil-water notices around the country for several months, including 10,000 customers in Whitegate, East Cork. Users of water schemes which have boil-water notices imposed on them are not billed for water into their premises.